After more than a year of work, Upon Waking: 58 Voices Speaking Out from the Shadow of Abuse is now available for pre-sales! Let your friends and family have a part of history with this newly published anthology. 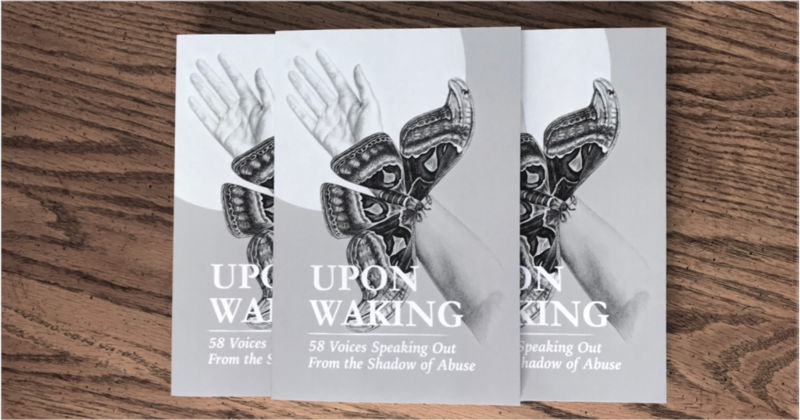 The League is a proud supporter of this anthology, Upon Waking: 58 Voices Speaking Out from the Shadow of Abuse. A great appreciation to League members Annette Jane Gagliardi and Laura Lanik for making this timely and important project possible. Click the image to order your copy Today! Upon Waking: 58 Voices Speaking Out from the Shadow of Abuse gives victims a place to share how the abuse felt, how abuse lingers, and what they have done to heal and move forward. These poems show that abusive experiences affect us all, and if we speak up, we can change our culture for the better.